Most people want an epoxy garage floor paint because of what it has to offer. A garage epoxy concrete floor paint looks good, comes in many colors, resists chemicals and oil spills, and is easy to clean and maintain. With so many epoxy garage floor paints on the market, how do you know which one is the best epoxy floor paint for your garage floor. I'll compare some of the different kinds of epoxy floor paints to give you a better idea of what to look for and what to expect when you're trying to decide what is the best epoxy garage floor paint to use for your garage floor. Epoxy garage floor paint is usually chosen for it's long lasting high gloss finish and the superior protective benefits they have for a concrete floor. Epoxies come in different systems, some are easier to to use than others. WATER BASED EPOXY FLOOR PAINT - These are the least expensive and not as durable as solvent and 100% solids based epoxy paint. They are much more user friendly and should be strong enough for most residential applications. SOLVENT BASED EPOXY FLOOR PAINT - These usually contain 40-60 % solids, are stronger than water based epoxy, and are more toxic. They usually come in two parts you mix together, require more attention to detail when applying, but offer a superior long lasting finish compared to water based epoxy. 100% SOLIDS BASED EPOXY FLOOR PAINT - These are the strongest, most durable, highest quality epoxy floor paints. They are also the most expensive. They will be the hardest, most chemical resistant, and abrasion resistant of all the epoxy floor covering paints. They are also the most toxic and should only be installed by professionals. 1. ONE PART EPOXY PAINT SYSTEMS - Many manufactures offer one part, ready to use, garage paint that requires no mixing before application. These diy epoxy floor paint systems claim to compare in performance and durability to two part systems. They resist hot tire marks, chemicals, oil stains, and spills. They are UV stable and aren't supposed to chalk when exposed to moisture. These can be found at most retail "big box" stores, they are easy to apply, but aren't as strong and durable as two component epoxy paints. They are sensitive to moisture problems and require perfect surface preparation for long lasting adhesion. 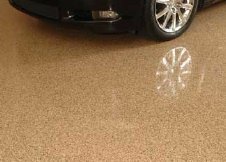 If you're looking for something simple and quick, and your garage floor is in good shape, this should be work for a garage floor coating. Just remember you get what you pay for, expect some touch up maintenance every year to keep it looking like new. 2. BREATHABLE EPOXY PAINT SYSTEMS - Most garage epoxy paints are impermeable to moisture and don't let moisture vapor escape from the concrete after they are applied. 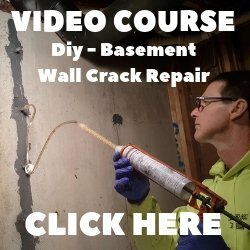 Garage paint can fail and peel off if applied to damp concrete or concrete floors with high moisture vapor emission rates. There are epoxies that are breathable and will let moisture vapor escape to some degree. These epoxy systems will bond to damp surfaces and to new concrete slabs after only about a week of curing. 3. FAST SETTING EPOXY PAINT SYSTEMS - Epoxy garage paint usually requires 24 hours before they can be re-coated. Most epoxies also must cure for several days before accepting foot or vehicle traffic. There are new fast setting epoxies that dry in and hour and completely cure in 12 hours. These polyaspartic polyurea coatings are great if you need to get your garage back in order the very next day. They are high quality and very durable. Click on GARAGE FLOOR PROTECTOR to learn more about this coating. They are not breathable so checking for moisture vapor emission is a must before deciding on this system. 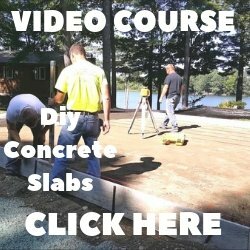 See CONCRETE MOISTURE PROBLEMS for help with this. A 100% solids based epoxy garage floor paint will give you the best garage floor paint system for your concrete floor. When combined with chips or quartz aggregates they can be quite decorative, very long lasting, and highly durable. The only drawback is you should hire a professional to install it.